Read Peter Craven’s review in The Sydney Morning Herald! When a gallery becomes a dangerous place, art dealer Alex Clayton must find the hidden meaning. Belief in the curse is strengthened when MIMA's senior conservator Meredith Buchanan dies less than twenty-four hours later while repairing the work. But Alex and John are convinced there is a decidedly human element at work in the museum. The evidence sets them on the trail of a mysterious painting that could hold a key to Meredith's death, and the stakes are raised higher when Alex is offered her dream job at MIMA. Damaging the museum's reputation will jeopardise her professional future. The friends soon realise they are facing an adversary far more ruthless than they had anticipated, and there is much more at risk than Alex's career. 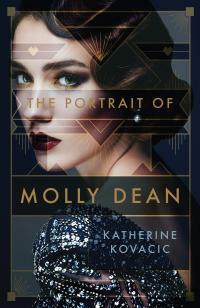 In 1999, art dealer Alex Cayton stumbles across a lost portrait of Molly Dean, an artist’s muse brutally slain in Melbourne in 1930. Alex buys the painting and sets out to uncover more details, but finds there are strange inconsistencies: Molly’s mother seemed unconcerned by her daughter’s violent death, the main suspect was never brought to trial despite compelling evidence, and vital records are missing. Alex enlists the help of her close friend, art conservator John Porter, and together they sift through the clues and deceptions that swirl around the last days of Molly Dean.